The Mark Hotel is now home to America’s most expensive hotel suite, said Cator Sparks in Bloomberg.com. 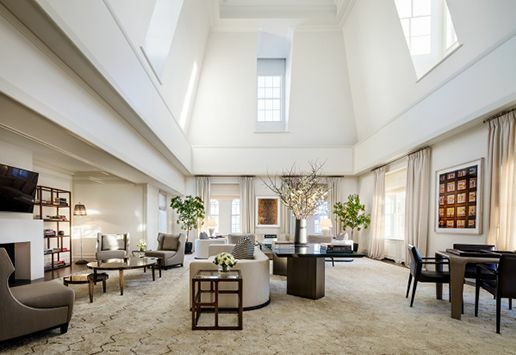 Priced at $75,000 a night, the 10,000-square-foot duplex penthouse in the 1927 Upper East Side hotel has five bedrooms, six bathrooms, four fireplaces, two bars, and a two-story living room large enough to use as a ballroom. All guests at the Mark enjoy access to a Bentley and a 70-foot sailboat, but penthouse guests get more individualized attention. They might find a rare bottle of wine waiting, or a telescope set up on the terrace for stargazing. Can the Plaza’s $40,000 suite match that? Ride a camel at Erg Chebbi and visit Roman ruins on a 12-day tour of Morocco with Friendly Planet. Book by Oct. 31 to save up to $400 on travel through 2019. The offer starts at $2,799 per person, double occupancy, including international flights. Through Oct. 23, Avalon Waterways is slashing $750 from the price of an eight-day river cruise from Germany to Hungary. The rate now starts at $2,598 per person, double occupancy. Use promo code PRMWO616. The Blackburn Inn, a recently renovated 1828 hotel in picturesque Staunton, Va., is offering 10 percent off and a $15 food-and-beverage credit when you book a room two weeks in advance. Rates through Nov. 30 now start at $134.